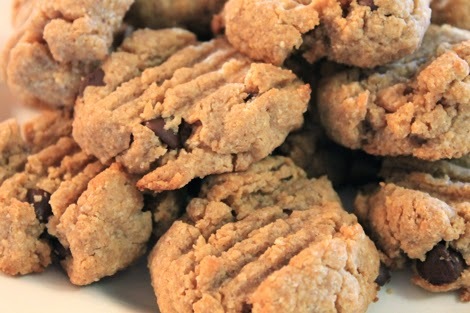 less is more: vanilla peanut butter protein cookies. 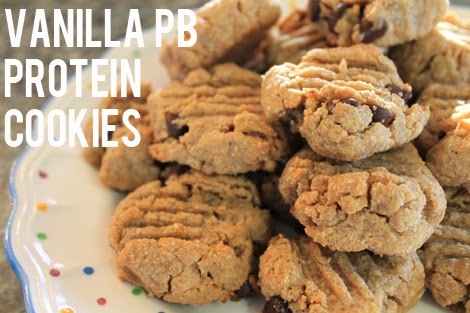 vanilla peanut butter protein cookies. 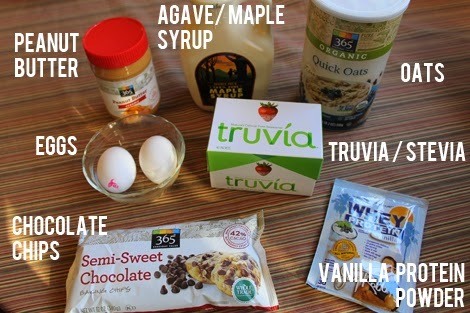 // Chocolate chips to taste 1// Mix the wet ingredients until well combined. 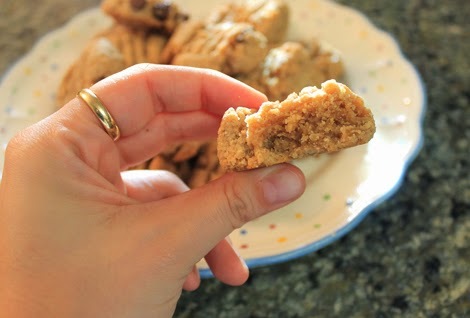 You can put the peanut butter in the microwave for a few seconds if it's really thick, but the no sugar added PB is usually more of a liquid consistency because of the oils that rise to the top. 2// Blend the oats, if that's your jam. 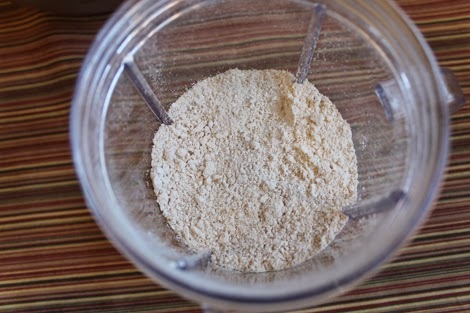 3// Add the dry ingredients to the wet and mix well. 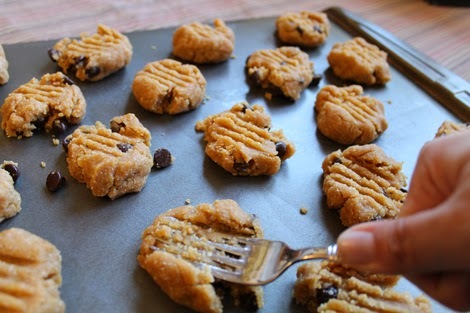 4// Add chocolate chips if you want, I made a few without chips and found them just as delish. 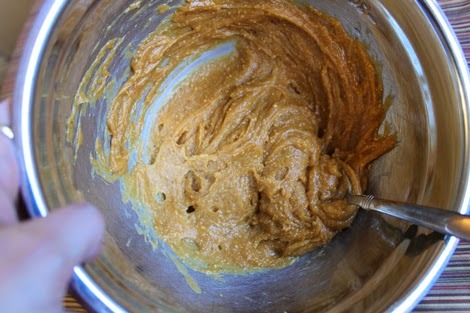 5// Scoop into balls (pushing them down is optional, but definitely stops them from spreading like crazy in the oven). 6// Bake for 8 minutes at 350*F. I found this recipe to be super simple, and the cookies were perfectly cooked with crunchy outsides and dense centers. They are definitely an overpowering peanut butter flavor, though you can tell the vanilla is in there. I think with chocolate protein powder they would be great, too. These are addictive and I'm not saying to eat them for breakfast, but I'm not not saying to eat them for breakfast.